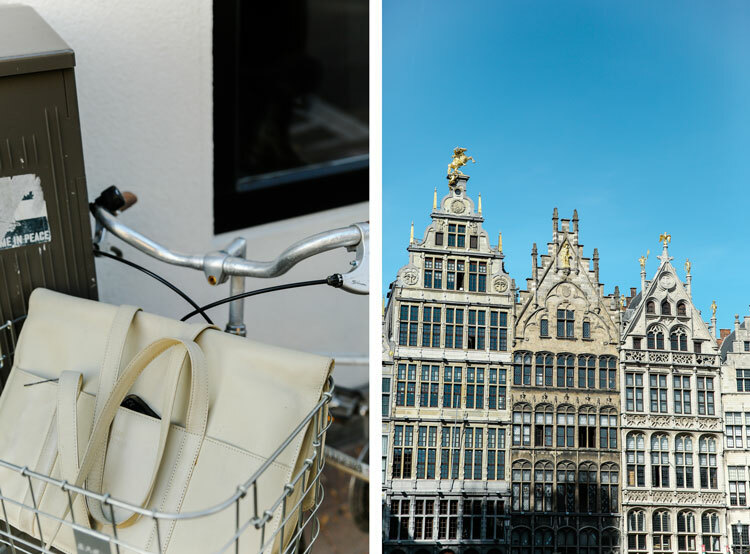 Antwerp was our first ever City Guide and we decided to return to this Belgian city to see what’s new and discover it from a different perspective, asking local creatives to take us around their favourite spots. 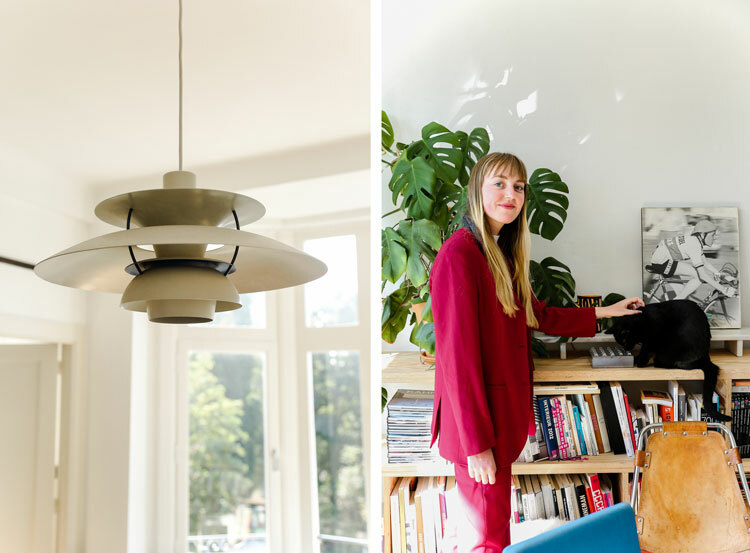 Furniture designer Axelle Vertommen, flower stylist Loes van Look and bag designer Lies Mertens were our hosts and showed us around their neighbourhoods and their not-to-miss spots in Antwerp. 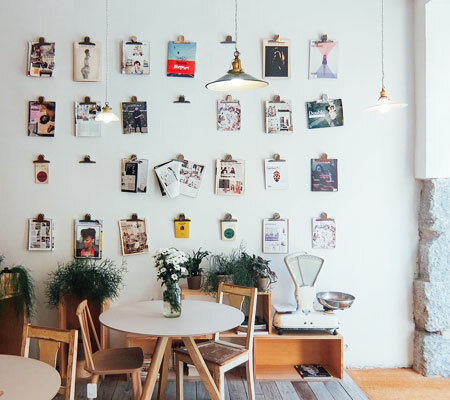 As usual, at the end of the guide you will also find a selection of hand-picked personal recommendations on cafés, restaurants, shops and other places you should include in your visit! Thanks to Visit Flanders and Visit Antwerp. 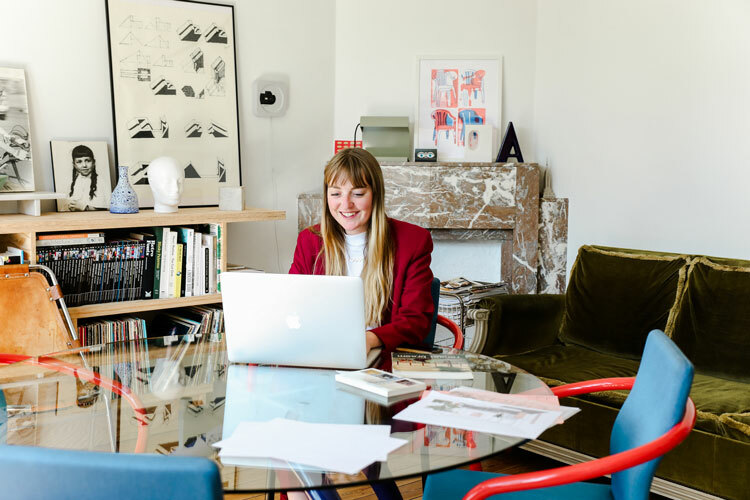 Axelle Vertommen is an interior architect and furniture designer working as a freelancer for Belgian studios Dries Otten and Cover & Couch, among others. 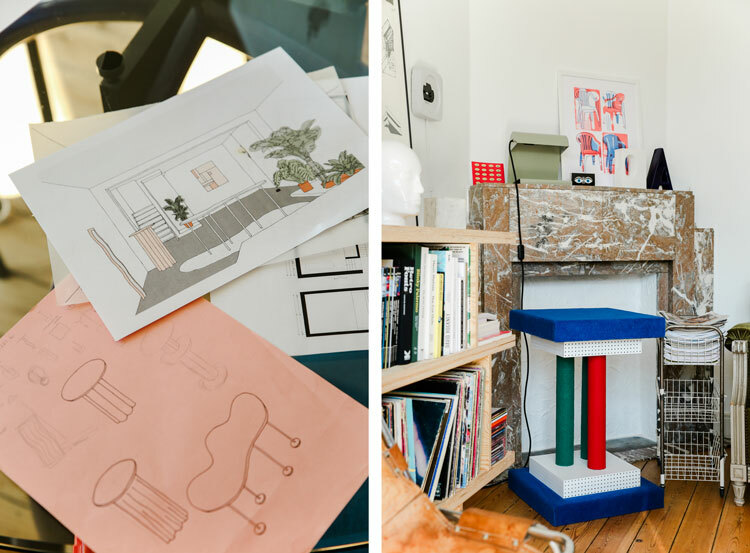 Most of her designs come from a personal need (like the scratching posts she recently created for her cat) and she prefers to make and test her own prototypes at home before selling them to clients. 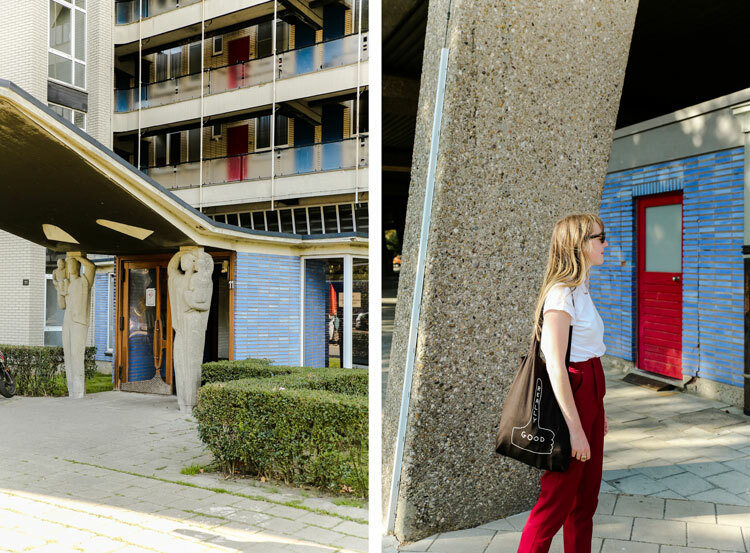 We visited Axelle at her flat and studio, from where we went on an art and architecture cycling tour around the south area of the city. 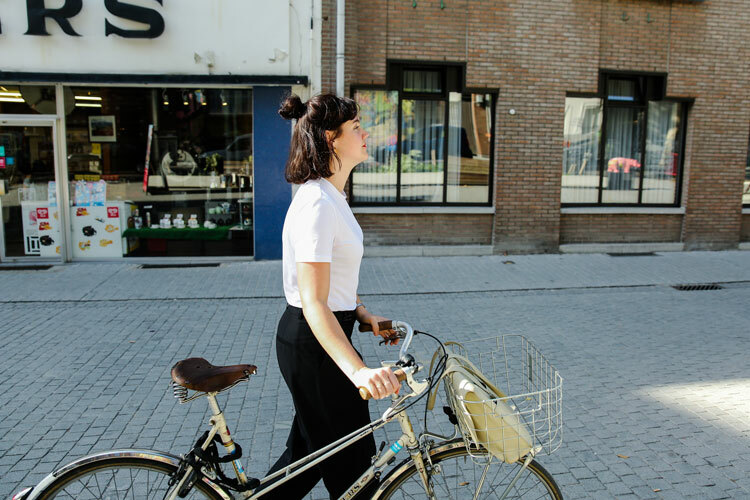 Axelle lives in a quite neighbourhood between Markgrave and Berchem, just a 15-minute bike ride from the city centre: “It’s the perfect combination of city and green around here. 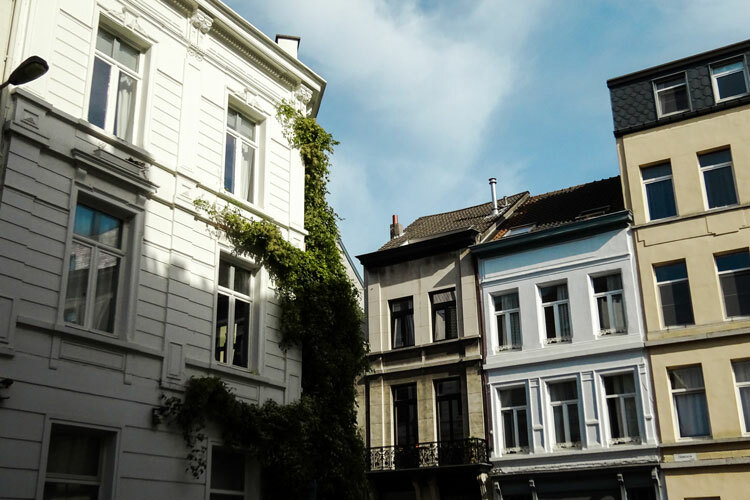 What I love the most about Antwerp is that it is a small city, but with a lot of different cultures and neighbourhoods. It’s like every other big city (like Paris or New York) but on a really small scale. Whatever you are feeling like, it’s only a small bike ride away”. 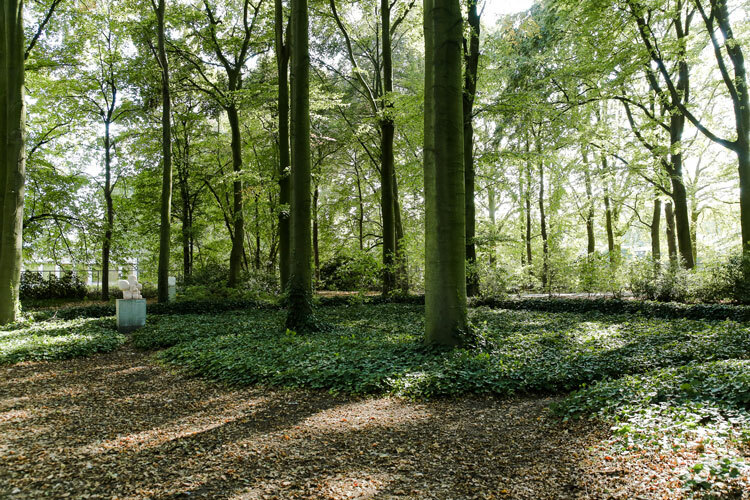 This open-air museum is home to more than 200 sculptures placed across the 30 hectares of the park, with a collection from 1900s to contemporary art. 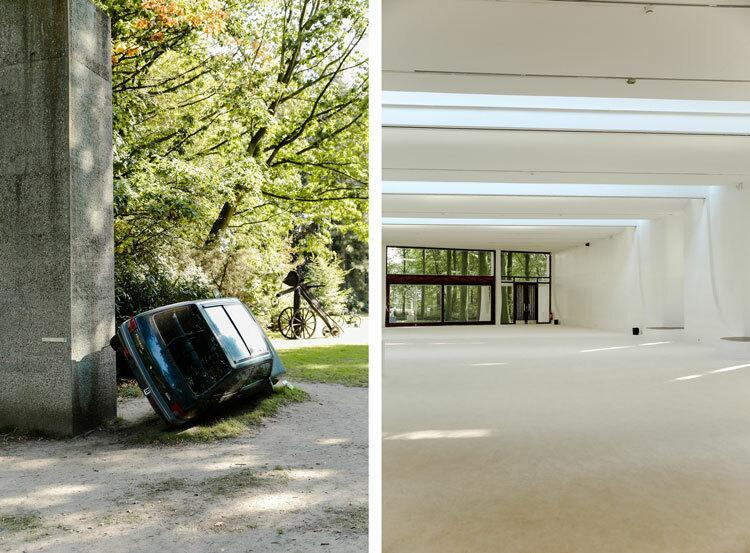 Middelheimmuseum is one of Axelle’s favourite places to escape from the city: “It is a real oasis in the city — it’s the perfect combination of relevant art and nature. For me outdoor museums provide a really special feeling. It’s a really nice to experience art outside and being able to wander around as long as you like. It’s the perfect place to just go for a walk, but experience so much more. Also, there are a lot interesting architectural pieces there, such as the building by Belgian architect Renaat Braem we visited. If you want to get out of the city, this is the place you have to go to”. 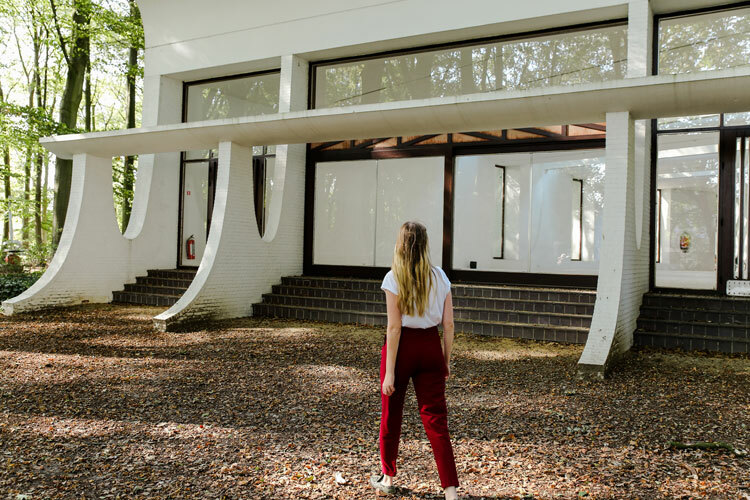 Axelle also enjoys passing by Maison Guiette, the only house Le Corbusier built in Belgium: “This makes it very special and I try to visit it whenever I can. It’s one of his few creations of ‘Citrohan’, a prototype for serial housing. The house is owned by Belgian fashion designer Ann Demeulemeester, who bought it in 1983”. 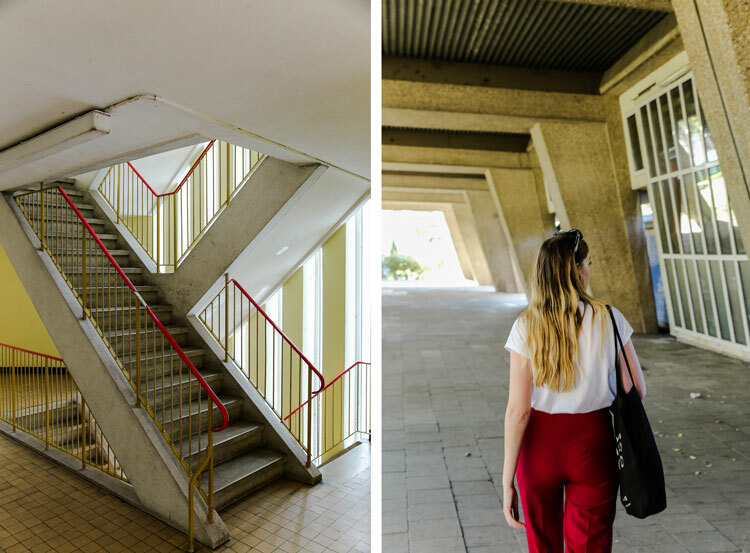 Het Kiel is an area in the south of Antwerp with many architectural gems and one of Axelle’s favourite neighbourhoods to stroll around: “The social building blocks are designed by Renaat Braem, according to the principles of Le Corbusier. All buildings stand on concrete columns (pilotis) in order not to obstruct the view of the green environment and create closeness. What I love the most about this place is the fact that it’s so real. It still functions as social buildings and most of the people that are living there are not aware of the architectural quality. But that makes it even more beautiful”. “It’s great to see how people are dealing with the environment, even if they don’t do it in a proper way. I love to sneak into the buildings and get the full experience of how it is to live there. 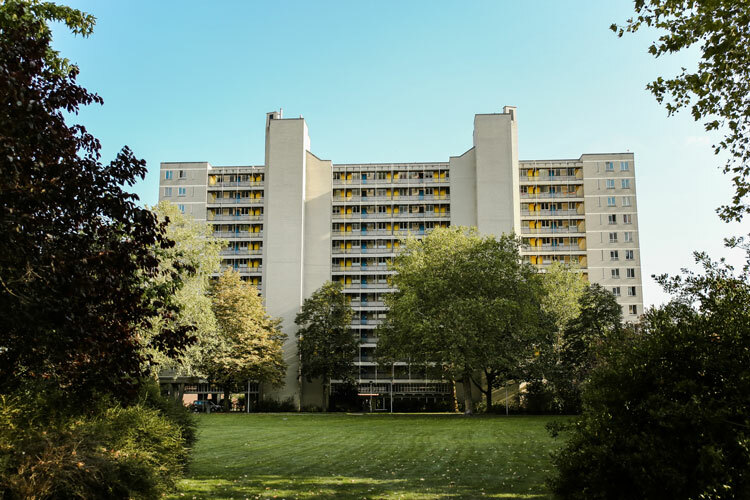 Braem also built another great social housing project in Deurne, but they might demolish it soon. The police tower in the city centre is also his design”. 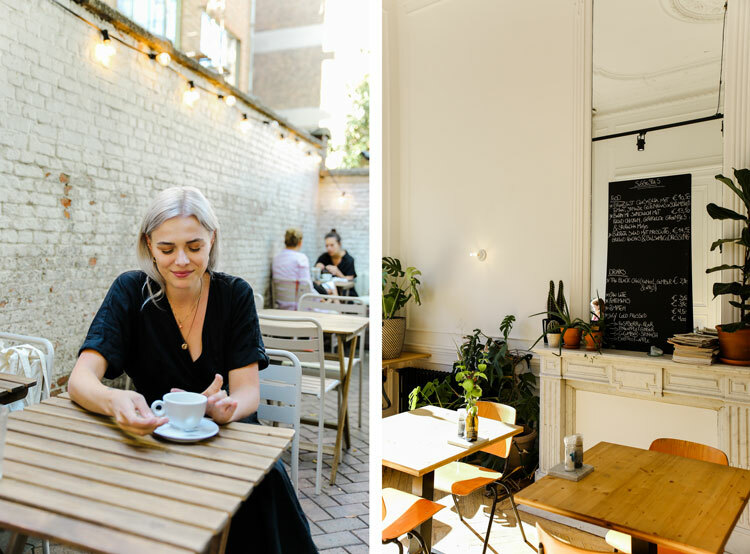 Loes van Look runs Wildflowers & Wodka, a flower styling studio providing flower arrangements for events and also hosting workshops. Using wild, romantic flowers with a little edge, Loes creates her signature style for clients in Antwerp and anywhere else in Belgium. 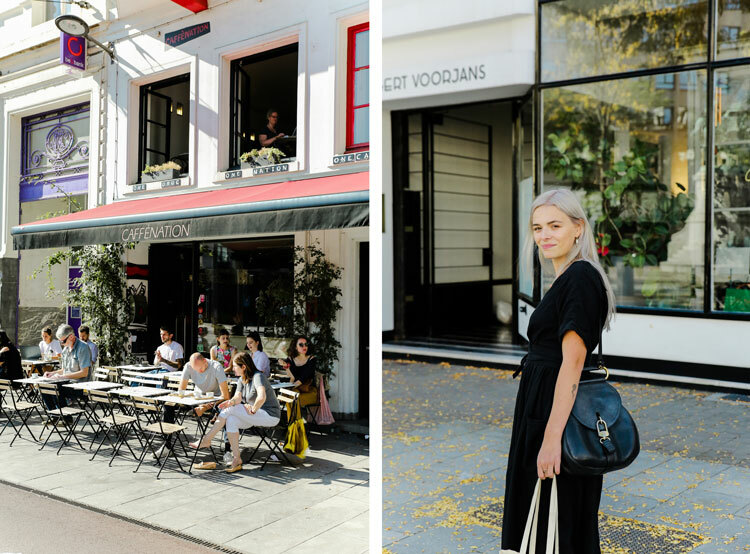 We went on a stroll with Loes around the southern part of Antwerp’s city centre to discover her favourite shops and cafés in the area. 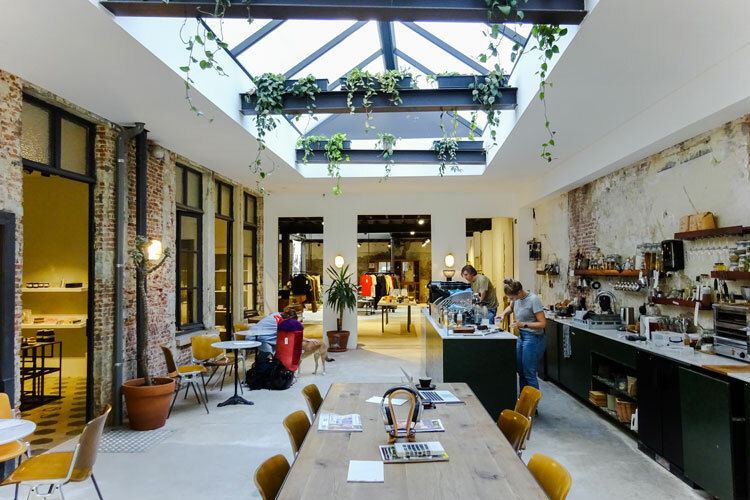 Loes also thinks the size of Antwerp is one of its main advantages when it comes to building a business and collaborating with other creative people: “Everybody knows each other and the creative community is really strong. 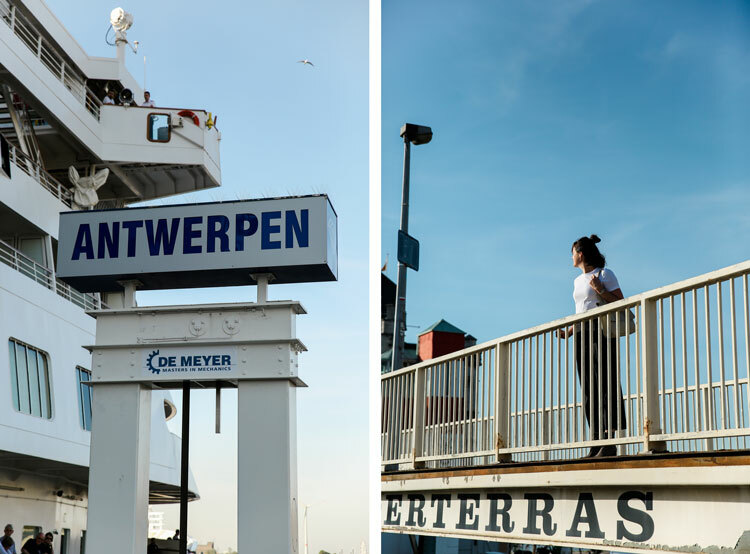 Living in Antwerp has helped me definitely to grow my business quite fast. People in Antwerp have a really good work ethic and there is like this great atmosphere where everybody helps and supports each other. I don’t believe in competition but in collaboration, and that’s something which is easy to find in Antwerp. I have lived in Amsterdam in the past and, for me, the city was really difficult to connect with”. 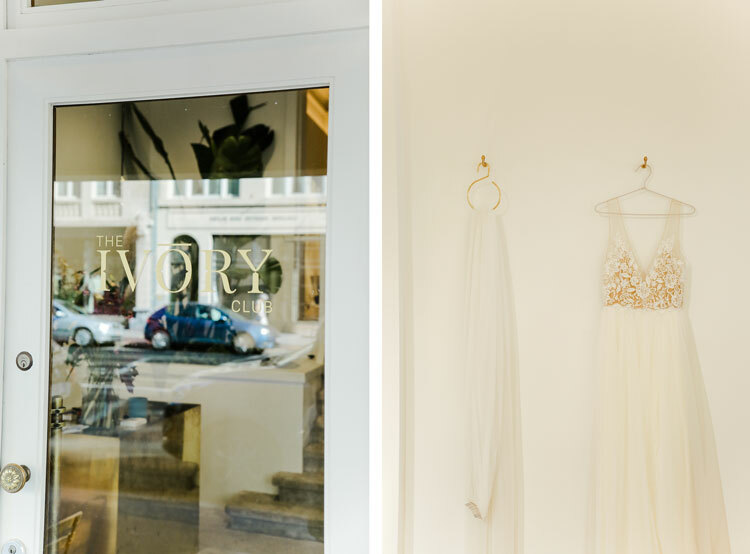 This bridal store stocks designs from all around the world with a focus on unique and contemporary pieces for those brides looking for something modern and different. Loes often collaborates with The Ivory Club: “I absolutely love the owners, Laura and Stephanie, for their down to earth approach. They have the same approach to weddings: nothing classic and stiff, but cool, personal and with a little edge”. 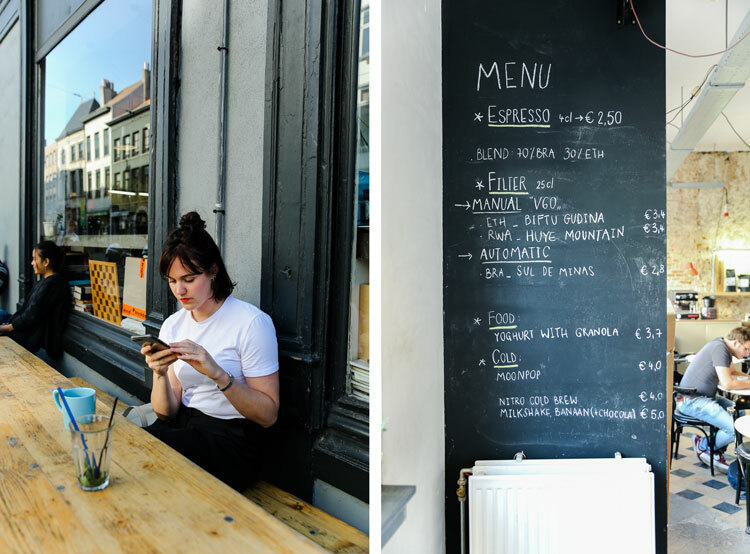 Loes usually visits coffee shop and eatery Barchel when she wants to disconnect: “I love this place because I never come to work here, even if it’s perfect for working! For me, it’s a getaway for a small break with good coffee and nice food. I like the clean interiors and the cosy feeling – you can still have some personal space to have an intimate chat. Also, the best thing about Barchel is the cute terrace in the back”. Live Aesthetically is a shop selling the designs of jewellery and lingerie brands Anna Rosa Moschouti and Ophelia Lingerie. 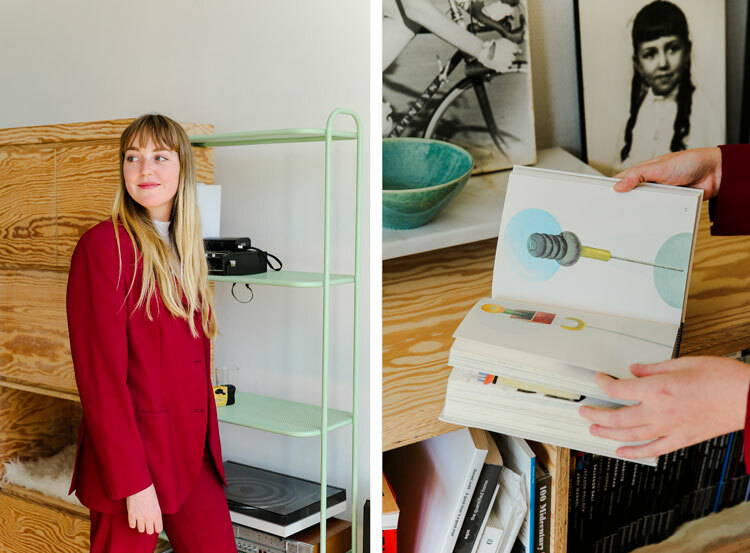 For Loes, this is the perfect example of creative collaboration in Antwerp: “These two girls found each other and whilst sharing their creative atelier and store, they also share their network and knowledge, and support each other. Additionally, their store and products are beautiful”. Lies is a designer exploring the combination of functionality, simplicity and aesthetics. 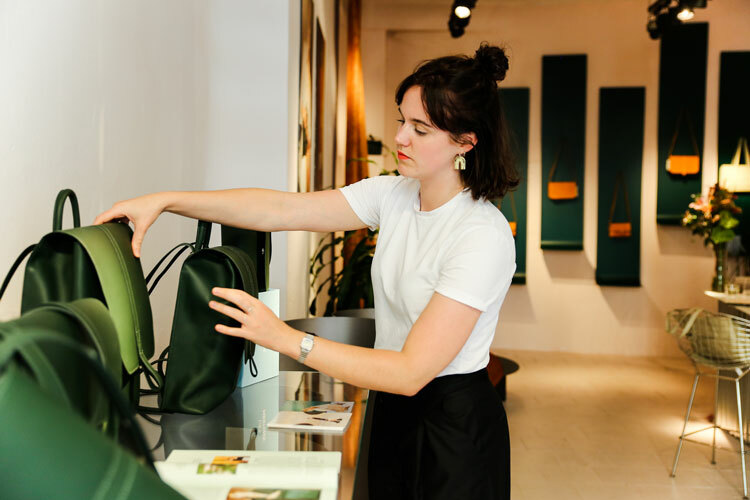 Her bags and accessories brand, Lies Mertens, originated from the idea of designing efficient and sustainable products, manufactured with leather and protected with a waterproof layer to maximise their durability. 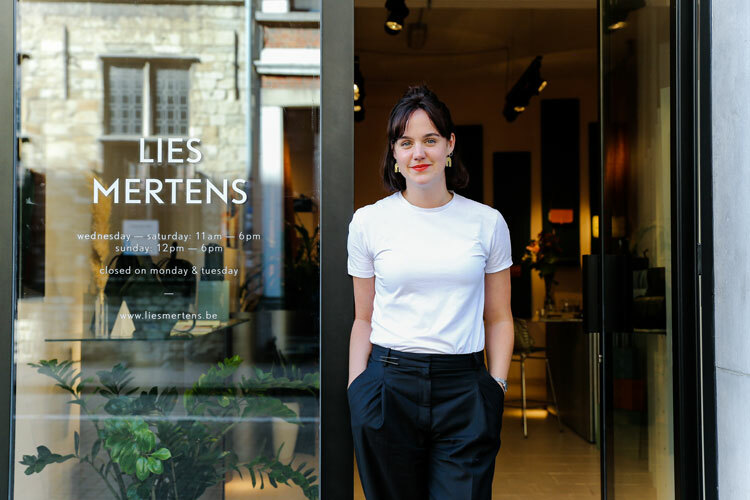 We visited Lies at her store to see her designs in person and explore with her Antwerp’s city centre. 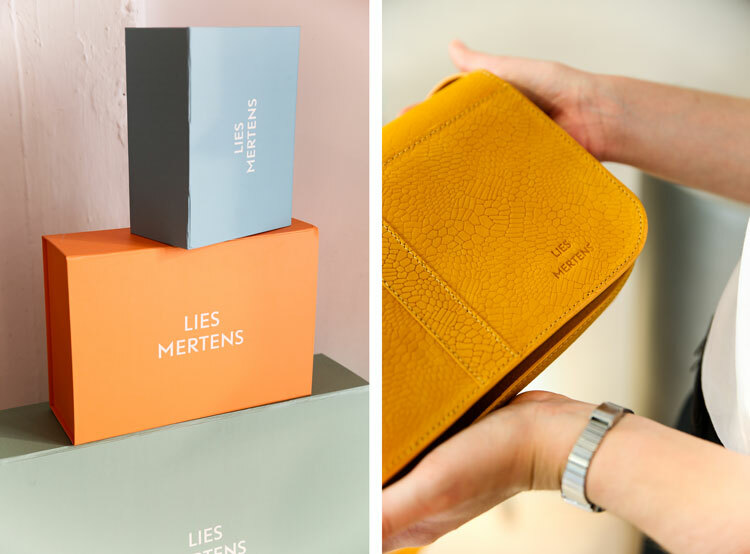 Lies’ new and permanent shop is located on Steenhouwersvest, just 500 metres away from her previous store: “I am staying in the cosy city area, on the edge of the shopping district. 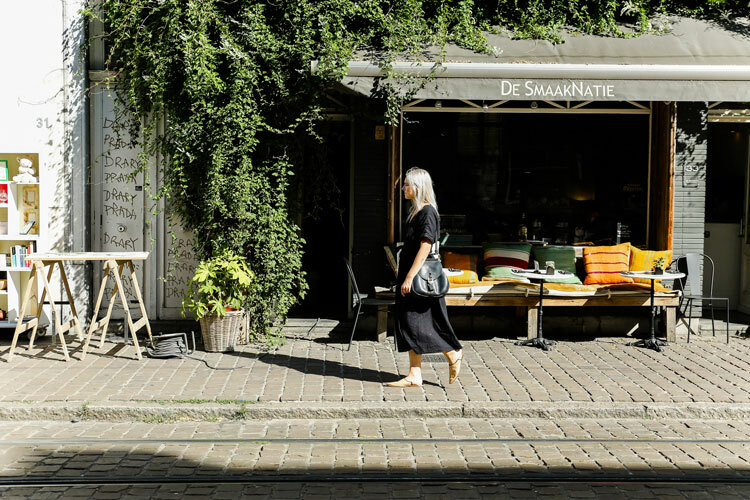 On Steenhouwersvest you can find a few, good Belgian designers and boutiques, and luxury and specialised shops as well. 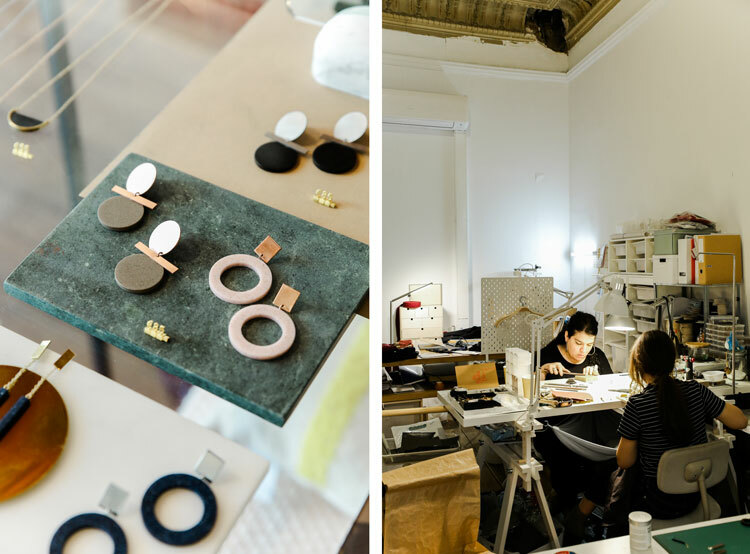 Happy to have become neighbours with Marie-Marie, a shop with the best bed linen, and Studio Collect, a fellow designer’s jewellery brand”. 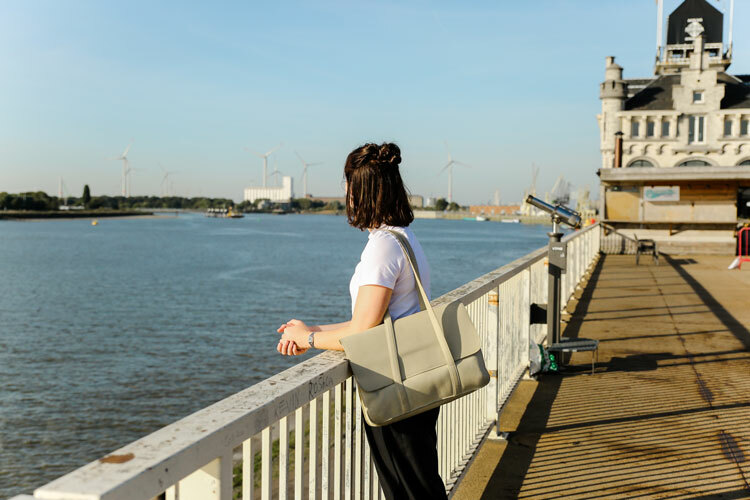 Lies thinks the energy the city provides, its size and the organisations helping you connect with other like-minded creatives are some of the advantages of working in Antwerp: “It has a lot to offer — especially for creatives, entrepreneurs and people working in fashion, I think Antwerp is the place to be. There is a vibrant and hands-on spirit. 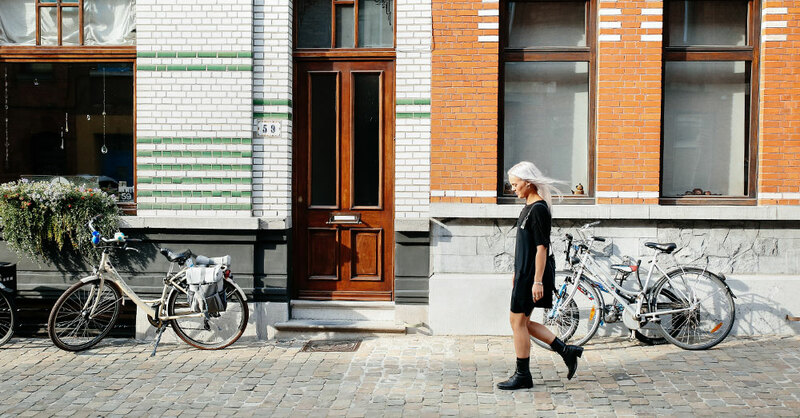 Lots of my friends are also entrepreneurs and freelancers, and I can see why they all live in Antwerp. We are kind of a small city, but the energy to do and organise things is big! Because of the size of the city, you can easily connect with other creatives and, sometimes it can feel like a village where everyone knows each other. But still, it is big enough so that you can disappear in an unknown big city vibe as well”. “There are also lots of organisations to connect and help young people that want to do stuff. You have Voka, Baas, Unizo, KBC Start-it, and other start-up motivators and people eager to help and share their experience and knowledge”. 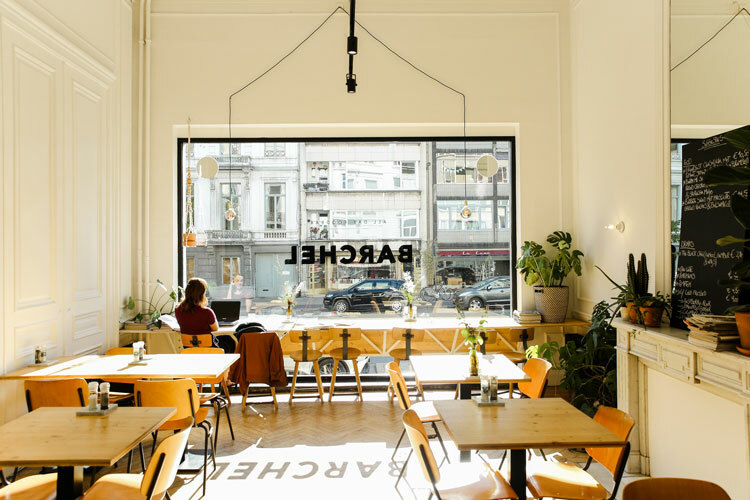 This coffee shop in Antwerp’s city centre is Lies’ second home: “When I just started my brand, I often came here to work. I don’t come to Normo as much as I used to because I have lots of work but, still, when I don’t feel like working at the atelier I come here from time to time. I love the coffee, the people that work here and the calm and easy atmosphere. It is a very easy-going place, no ‘tu m’as vus’ attitude, but people that just like to have a conversation, a coffee, read the newspaper or go to a workplace with good vibes”. 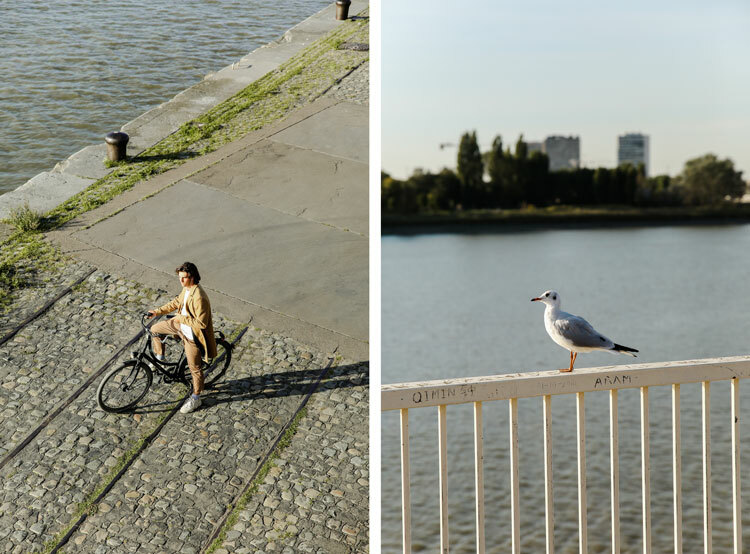 The Port area is a good option for Lies to relax and disconnect from the city: “I really like the water and the spacious views. It’s relaxing if you live kind of a hectic city life to sometimes escape the buzz and to just look at the river. 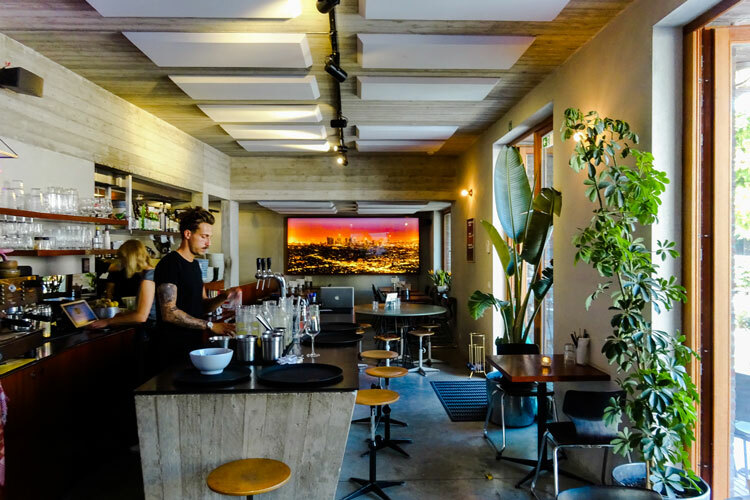 During the summer, it’s great to pick up some food at Loa — a really good street food place with the best pad thai — and eat it near the river while the sun goes downs. Love it. You have a view over the whole left bank of the city and even if it’s in the centre of the city, it feels like a calm and relaxed spot”. 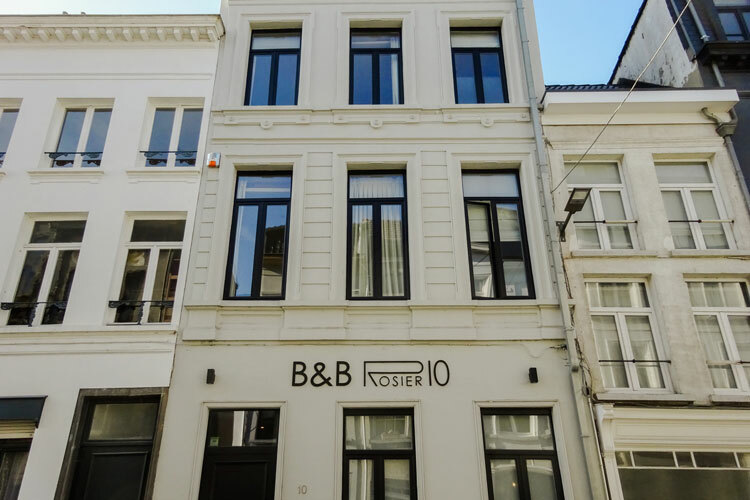 We had stayed at Rosier 10 on our first visit to Antwerp and we were pleasantly surprised when we found out Visit Antwerp had chosen again this accommodation for our trip. 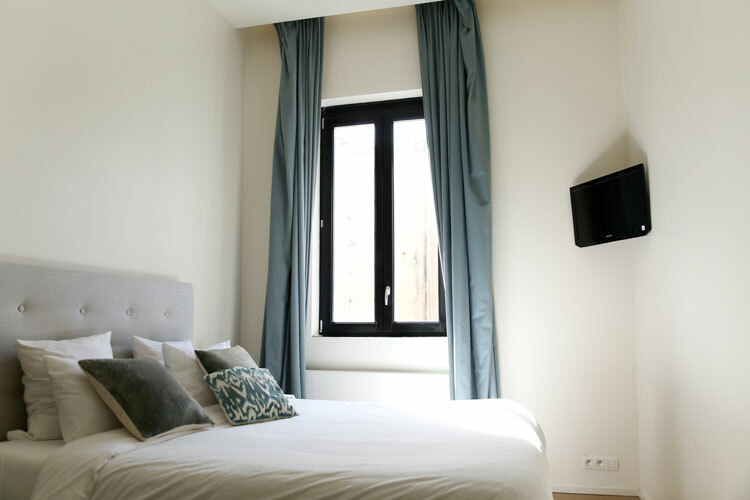 This Bed & Breakfast offers everything you need to enjoy a perfect stay in the city. 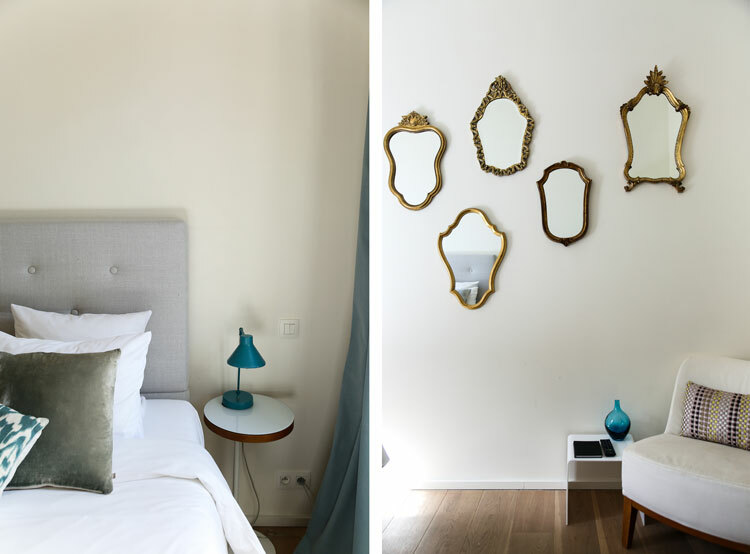 Each of its 4 rooms is decorated based on a different time of the day, with beautiful interiors and an eclectic taste. 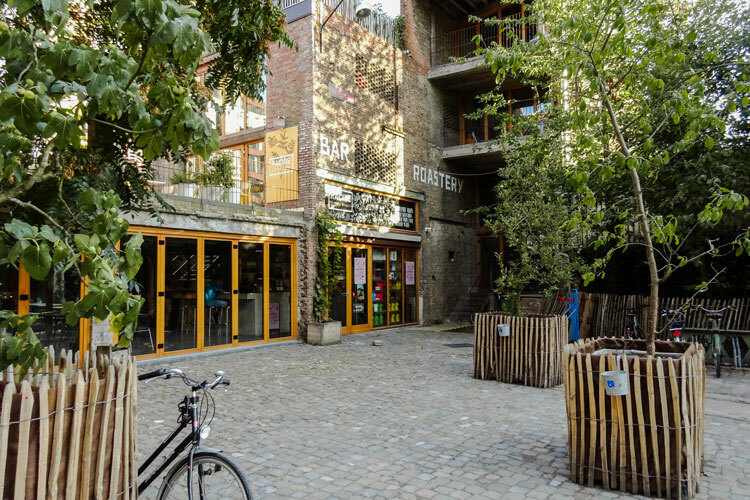 But the best thing about Rosier 10 is the warm hospitality feeling you get the moment you walk in — you feel immediately comfortable and can ask about any insider tips you might need about the city, making this accommodation a true home away from home. A cosy eatery with a simple menu of delicious Asian dishes, that’s the concept behind Camino. 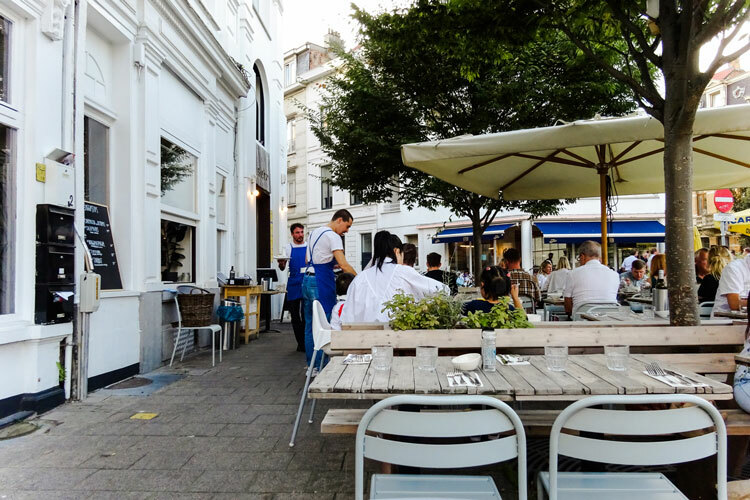 This restaurant is located on a beautiful square in Antwerp’s city centre, with many tables outside right next to a little garden, which makes it the perfect location for lunch during the warmer months. 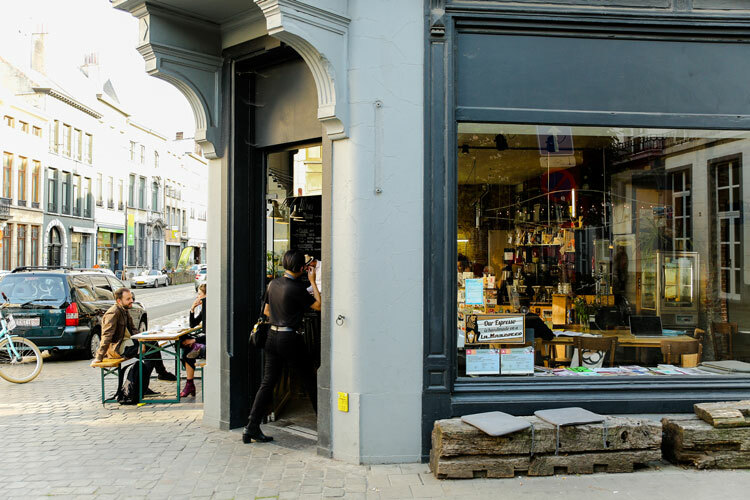 Fiskebar has become an institution in Antwerp. This restaurant focuses on seafood, with a great offer of freshly prepared traditional, yet modern, dishes served in a relaxed atmosphere. 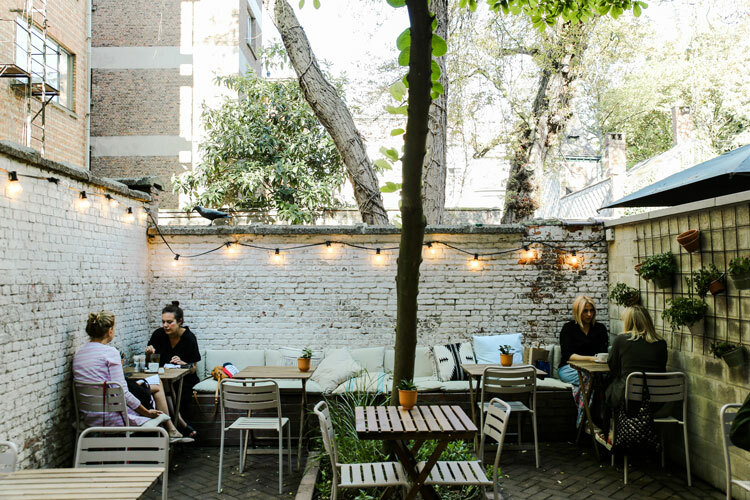 The restaurant’s interiors are clean, with Scandinavian furniture and minimalist details, whilst the outdoors terrace has a more rustic feeling and is the perfect spot for a summertime dinner. 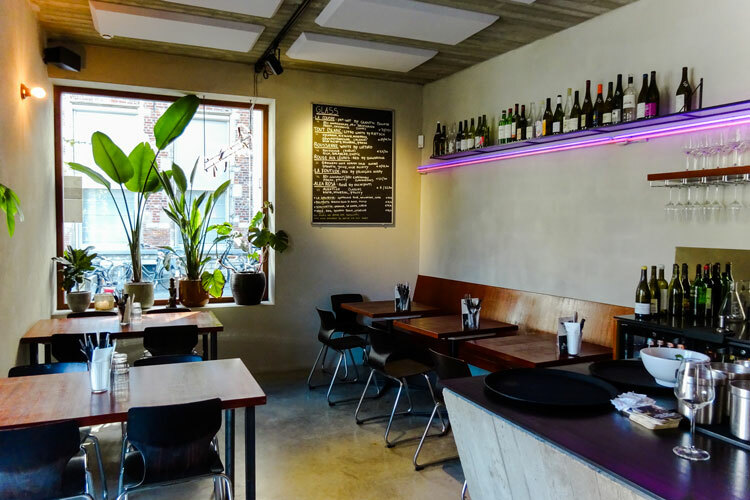 Fiskebar is located in Antwerp South district, really close to the city centre, and surrounded by some great bars if you feel like having a drink afterwards. 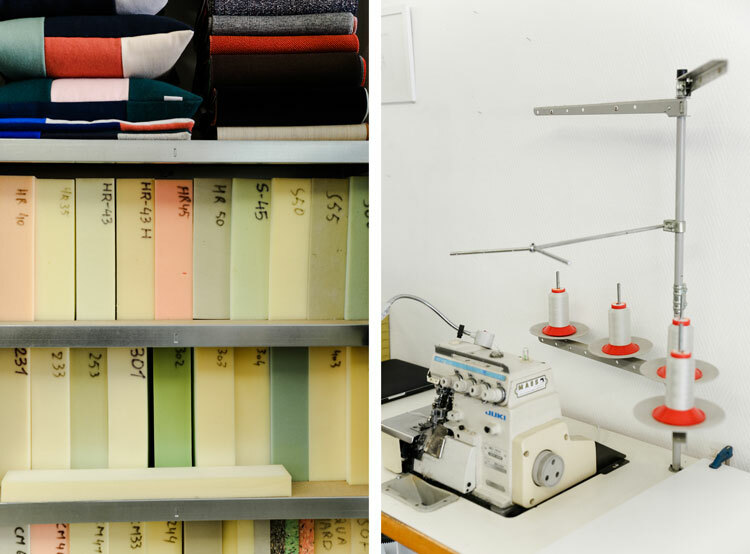 We had previously talked about Cover & Couch, but we hadn’t had the chance of visiting Sophie Doore’s upholstery studio until our second visit to Antwerp. 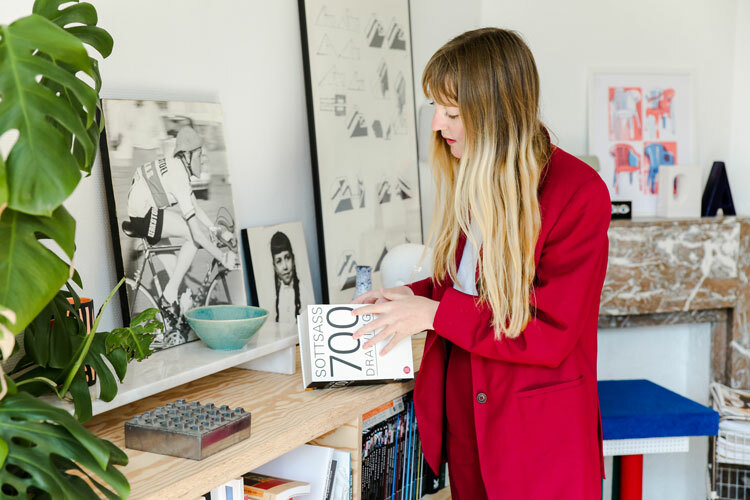 Located on the top floor of City Furniture (see above Axelle’s list of ‘Local creatives we should know about’), Cover & Couch specialises in contemporary and classic pieces with bold colours and a distinctive style. 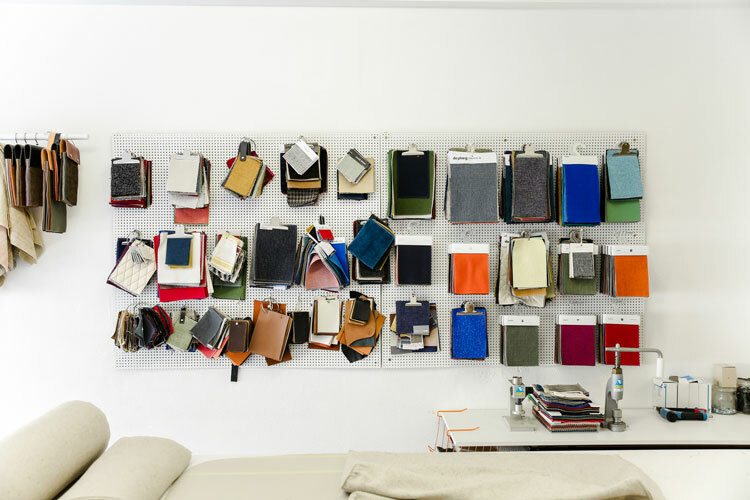 Sophie works with vintage dealers, interior architects, designers and private clients, using a mixture of modern and traditional upholstery techniques. Because it might be difficult to take home with you one of here beautiful chairs or sofas, in her studio you can also find a line of geometric and colourful cushions designed by Sophie. 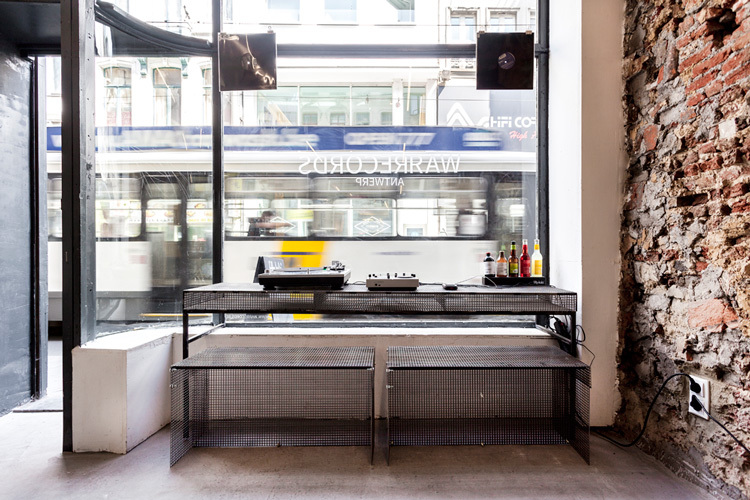 Morrison is a nice, little shop in Antwerp’s fashion district selling a curated selection of apparel, footwear and music. 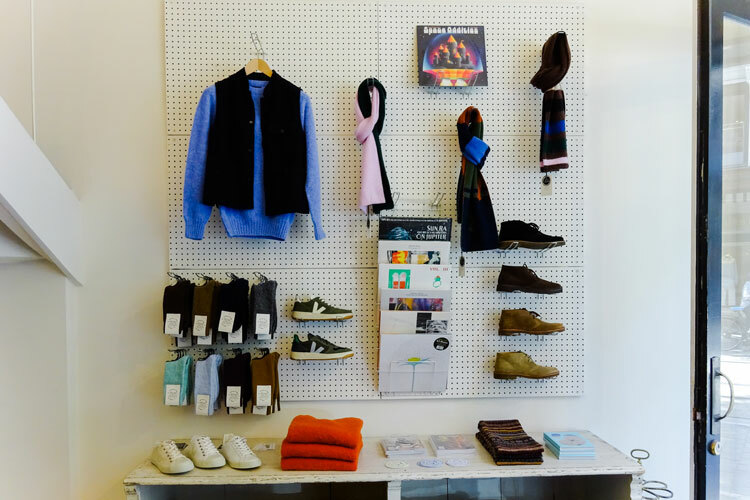 Morrison is also home to Howlin’, the shop’s own label of knitwear produced in Scotland and jersey t-shirts and other pieces proudly made in Belgium. WARRERECORDS is a fairly new record store located in the heart of the city. 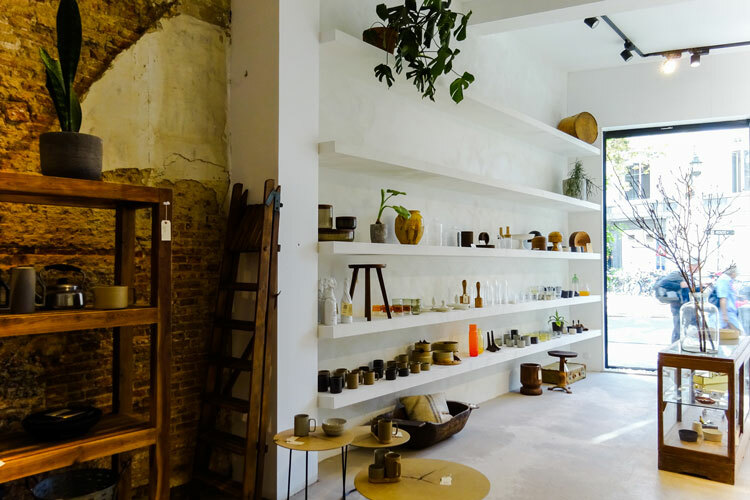 This project is led by DJ and event organiser Warre Geens and his partner, designer Amber Feijen, who created the minimalist and industrial interiors of the shop. 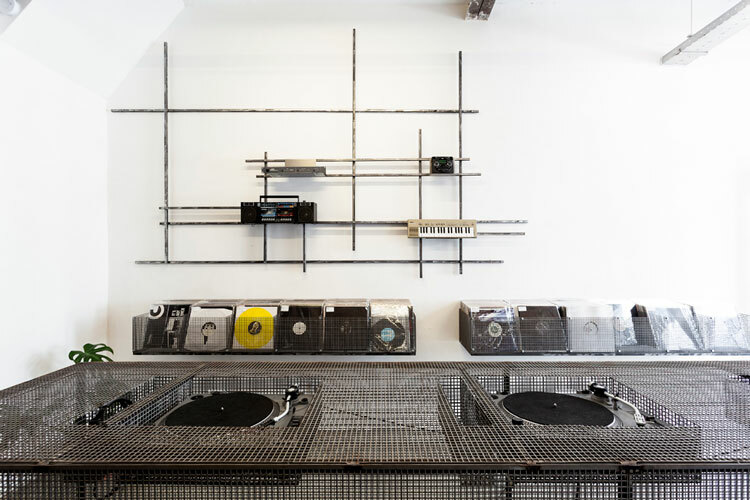 Inside, you will find an incredible selection of records, with a focus on electronic music and all of its subgenres. 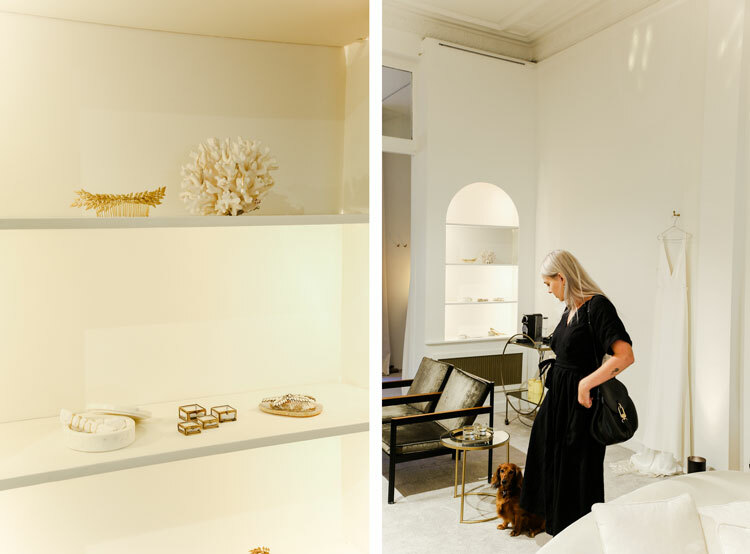 Antwerp is home to many concept stores but you really need to pay a visit to one of its latest additions: St. Vincents. 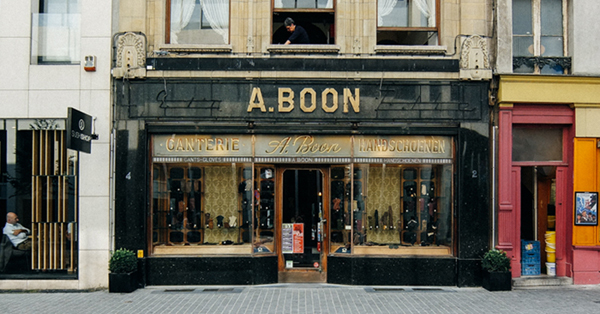 Independent design and fashion are the two main pillars of this shop located in the city centre. The open, minimalist space becomes the perfect background for the well-thought objects and pieces you can find inside St. Vincents. 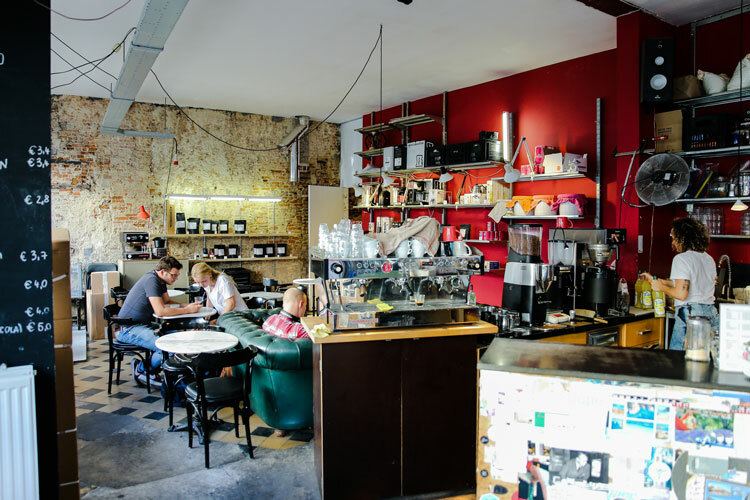 There’s also a café, where you can work or relax in a peaceful atmosphere. 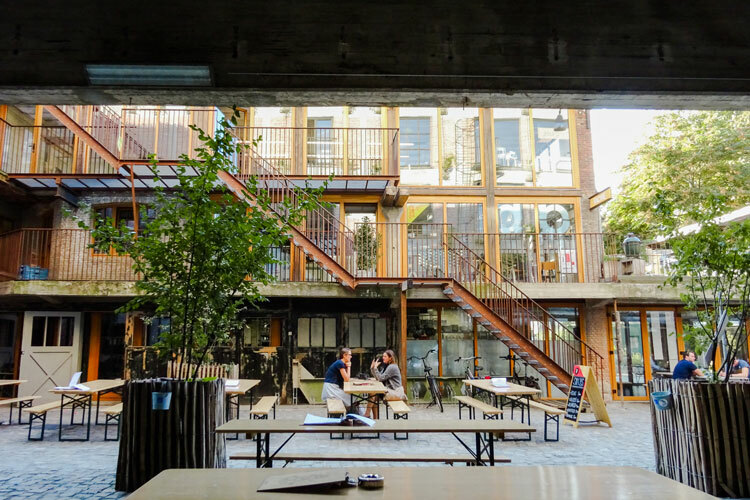 PAKT is a project bringing together creative entrepreneurs, architects, urban farmers, restaurants and other businesses together. 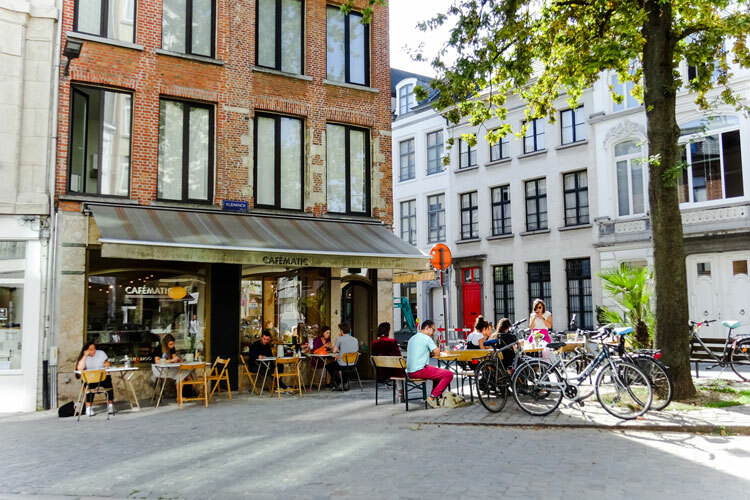 This kind of small neighbourhood / community in the south of the city has quickly become one of the most innovative areas in Antwerp. 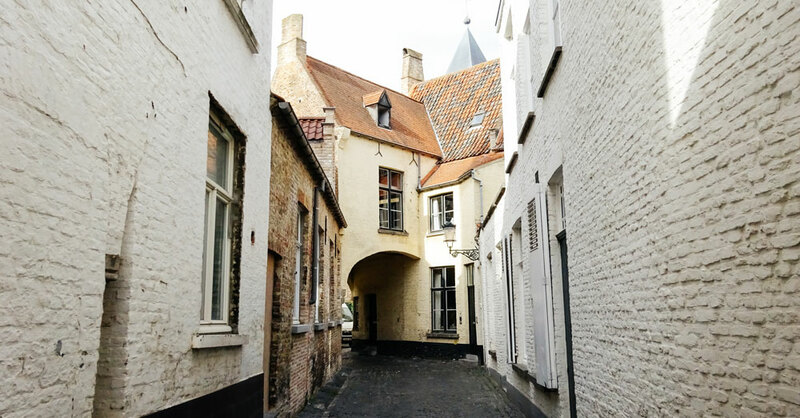 Walk around the different buildings and gardens and don’t forget to pay a visit to Standard for some delicious sourdough pizza and Spéciale Belge for a great selection of craft, Belgian beers. 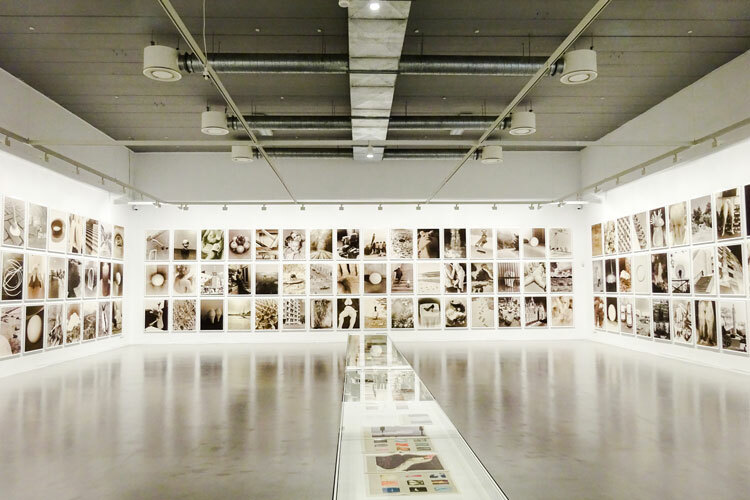 FOMU is Antwerp’s photo museum, a space dedicated to showcase the best contemporary photography work by Belgian and international artists. 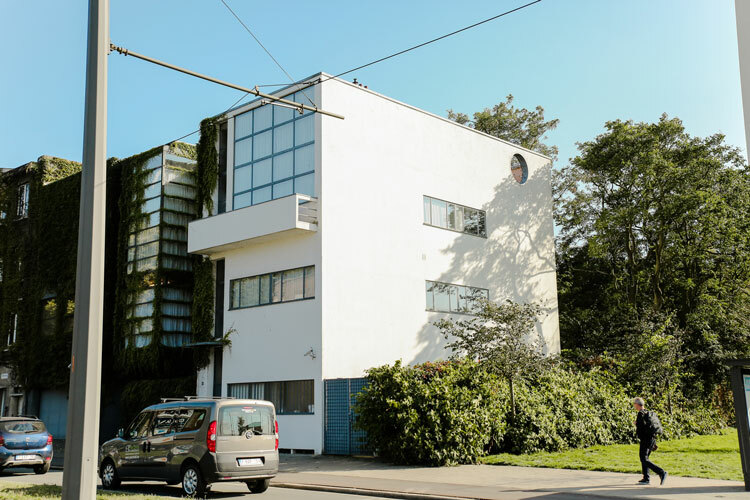 Founded in 1980, this museum now has an impressive collection of photographs, a workshop dedicated to restoration, a library with the largest collection of photography titles in Dutch and event its own annual magazine called ‘.tiff’.